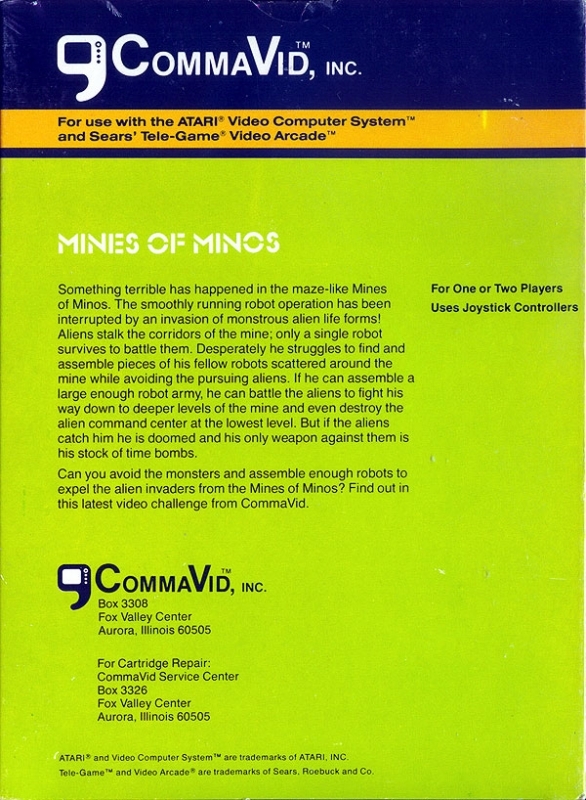 Something terrible has happened in the maze-like Mines of Minos. The smoothly running robot operation has been interrupted by an invasion of monstrous alien life forms! Aliens stalk the corridors of the mine; only a single robot survives to battle them. Desperately he struggles to find and assemble pieces of his fellow robots scattered around the mine while avoiding the pursuing aliens. If he can assemble a large enough robot army, he can battle the aliens to fight his way down to deeper levels of the mine and even destroy the alien command center at the lowest level. But if the aliens catch him he is doomed and his only weapon against them is his stock of time bombs.